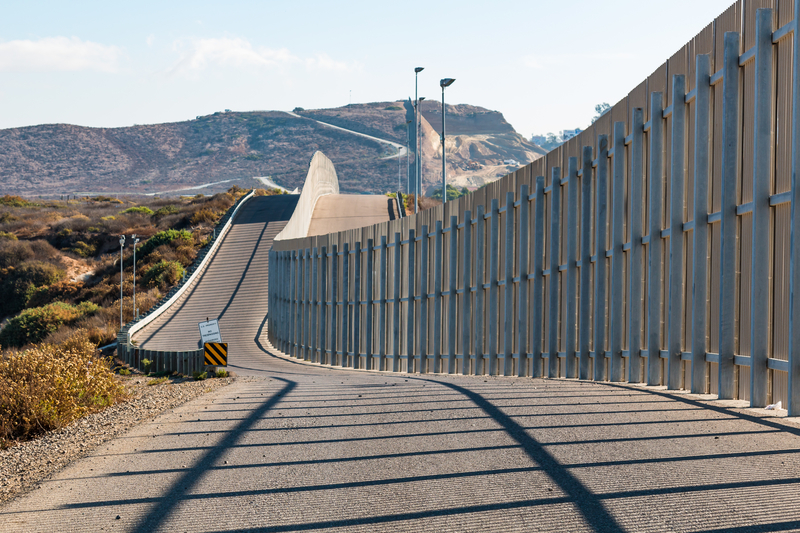 California - Man Falls From Border Wall While Illegally Entering U.S.
A man who tried to illegally enter the United States suffered a severe injury on Sunday after he fell from a 30-foot border wall located near Calexico, California. The man ended up with both of his legs fractured and might have also hurt his back. The U.S. Customs and Border Protection confirmed the incident on Monday. The Customs and Border Protection immediately sent paramedics and fire department personnel after learning that a man entering the country illegally had an accident. The man was even brought to a hospital in Palm Springs via a helicopter. The CBP chose not to release the man’s identity yet. The CBP also posted on Twitter the security footage of the incident. The clip shows a figure falling from the wall and staying motionless after the strong impact. Border Patrol spokesman Carlos Pitones said the U.S. government usually shoulders the medical bills for people injured crossing the border illegally, before deporting them after they recover. Social media users expressed concerns over the expenses the U.S. government and naturally, the American people, have to fork over for illegal immigrants. Some say the incident is yet another proof of the need to build a tougher wall on the country’s borders.